Villa Monica is a beautiful private villa with pool in Le Marche located at few minutes from San Costanzo and at only 9 Km to the Adriatic Coast. Pets are welcome. Casa Rossa is a private villa with pool in Le Marche located in the hill setting of San Costanzo at few km to the Adriatic Coast. Pets are welcome. Our holiday estate is situated on a hill with a wonderful view to the sea. Please take a look to our website: borgo-vecchio.com where you will find all details as well in english. Our estate, restored in the original style of the region, is situated on a hill with stunning panoramic sea views, an oasis of peace and yet just a few kilometers from the sea. Villa Orizzonte is located on a gentle rolling hill in the town of San Costanzo, and is part of a residential complex of four other houses completely independent from each other. from 5 1 holiday homes & accommodations in San Costanzo were rated with an average of 5 out of 5 stars ! 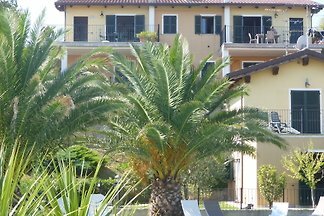 Rent successfully your holiday flat or holiday home in San Costanzo in only 20 minutes !